Prairie Winds Trilogy – Now Available on Audio! Excited to share that the PRAIRIE WINDS Trilogy is now available on audio! Written by Stephanie Grace Whitson and published by the wonderful team at Tantor Media, this historical romance series was an absolute joy and honor to narrate. Whitson is an exceptional writer who creates a world full of heart, grit and soul along with a wide array of rich, complex characters that I had the immense pleasure of bringing to life. I especially treasured learning about the language, customs and beautiful ways of the Lakota Sioux. Walks the Fire (Book 1), Soaring Eagle (Book 2) and Red Bird (Book 3) are now available on Audible and Amazon.com. She is running for her life. He has run from his life. Meet Nancy & Jake in – The Cabin! 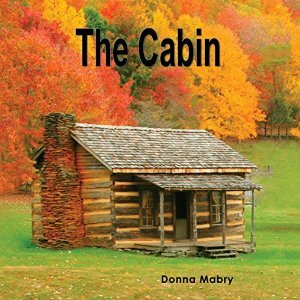 Today is the audiobook release day for The Cabin, book 3 of the Manhattan Stories, by Donna Mabry! I’ve had so much fun narrating this series for Dreamscape Media. Part of the joy for me, has been getting to know these wonderfully drawn characters that Donna Mabry has so beautifully created, and then having the opportunity to travel through the generations with each of them. From Jessica, to Pillsbury Crossing to The Cabin. It’s been an incredible journey that I won’t soon forget. The Cabin is now available on Audible.com and at Amazon! The Audies and Two New Books! It’s been a super busy but exciting month! The 2015 Audie Awards are tonight and I’m thrilled to be nominated for STARS: Original Stories Based On The Songs Of Janis Ian. In addition to being nominated, I am also deeply honored to be presenting at the awards this evening. On the recording front, I just finished recording a new release called Both Sides Now by Barbara Ferrer. It’s an incredibly moving book about grief, love and loss. The print and audiobook version will be released on June 23, 2015. In addition, I have recorded my second book for author Ryan Skinner, which will also be coming out in June 2015. This is a non-fiction book called Skinwalker Ranch: Tales of the Skinwalker. It is a collection of true to life paranormal experiences that occurred near and around areas of Utah, Phoenix and Nevada. Lastly, congratulations to all the nominees this year! It’s going to be an exciting night! Had such an amazing time working on Stars:Original Stories Based on the Songs of Janis Ian – just released Jan 28, 2014! 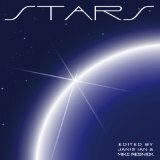 Stars is a collection of 30 original short stories by from some of the biggest names in Science Fiction. Each story, is based on a Janis Ian song and written expressly for Stars, creating a meld of prose, jazz, and science fiction found nowhere else. To buy this or view other titles narrated by Susan Hanfield visit the Amazon Book Store.